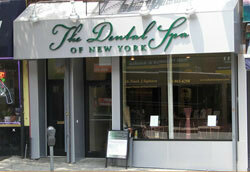 Your Park Slope Dentist Protects Teeth Against Cavities! Everyone has had a slushie before, especially in the sweltering summer. They can be really refreshing, but horrible for your teeth. Most patients recall having a sticky, grimy film sit on top of their teeth soon after slurping on their favorite cherry flavored treat. That film is a mixture of sugar, acid, dental bacteria, and plaque. If you’re not proactive in removing these harmful materials, you risk developing tooth decay. Tooth decay can lead to cavities, or painful holes in your smile. Luckily, your Park Slope dentist is here to help you prevent, detect, and treat cavities if you ever face tooth decay. You may not be aware that a cavity if forming in your mouth. That’s why it’s critical to visit The Dental Spa for regular dental checkups and cleanings, even when you feel fine. But, if you experience any of these symptoms, you need to reach out to Dr. Sapienza as soon as possible. If your cavity has progressed into a more serious stage, Dr. Sapienza may recommend placing a dental crown. This restoration is a thin, tooth-shaped and colored coverings that can be placed right on top of a damaged tooth. It can restore the shape and strength of your decayed tooth and simultaneously make significant cosmetic improvements to your smile. If the decay from your cavity has reached the inside of your tooth, you will know it. It’s painful when dental bacteria reach the pulp of your tooth. This treatment will remove all signs of dental debris including the infected tooth pulp. Then, your dentist in Park Slope will fill the hole with biocompatible dental materials. The procedure is completed with a seal for your tooth to prevent future decay. Visit The Dental Spa Today! Ultimately, your dentist always wants to save your natural teeth. 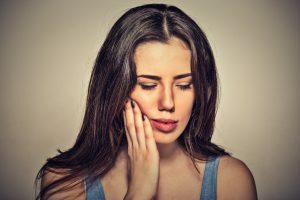 When tooth decay is too far gone, we may have to consider removal, but until then it’s important to do everything in your power to keep your permanent teeth healthy. That includes visiting The Dental Spa for semi-annual checkups and professional cleanings. Contact us today to schedule the next available appointment. Comments Off on Your Park Slope Dentist Protects Teeth Against Cavities!